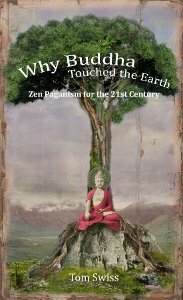 Now blogging at Patheos as "The Zen Pagan". I'm now blogging at Patheos as "The Zen Pagan". There are Buddha statues all over the place in Japan, of course. They range from little plastic knick-knacks to giant stone or metal works of wonder. When I first saw the forty-foot high bronze Daibutsu (literally, “Big Buddha”) at Todai-ji in Nara during the New Year’s celebration, I wept. But there is another Daibutsu in the hills outside of Tokyo, in the old feudal capital of Kamakura, that I like even more. The Kamakura Daibutsu is smaller by a hair than the one in Nara, but more striking because it sits outdoors. The hall that surrounded it was washed away in a tsunami several centuries ago, so that the giant Buddha sits there among the hills, meditating like some sort of zazen Ultraman, if you remember that old Japanese TV show. The layout of the temple hides the statue around a corner from the gate, making your first view of it quite stunning. The Daibutsu, colossal amid his gardens of iris, with no canopy but the sky, does really produce a sense of his [Buddha’s] universality; it does remind one of the grandeur and solidity of his teaching; of the reasonableness of his methods of attainment, the impersonal peace which is their reward; and of the boundless scope of his philosophy, independent as it is of all arbitrary assumptions, parochial points of view, sordid appeals and soul-stupefying superstitions. The Kamakura statue is a portrayal of the Amida (“infinite light”) Buddha, while the one in Nara is of the Dainichi (“great sun”) Buddha – two of many ancient past, distant future, and supernaturally cosmic Buddhas that were eventually invented by various sects. But all the depictions of Buddhas are inspired by recorded descriptions of the prince Siddhartha Gautama, the person who became known as the historical Buddha. He is said to have been an extremely handsome man, which probably helped him initially in spreading his message. Whether in ancient India or in today's world, human nature is such that, all else being equal, a handsome teacher from an aristocratic family can make much more of an impact than a goofy-looking working class wise man. But if there hadn't been more to the Buddha than the right parents and a pretty face, his teachings would not have endured for 2,500 years. 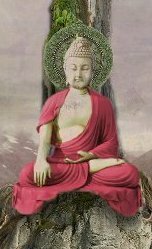 The man who would become the historical Buddha (“awakened one,” one of many titles bestowed on him by his followers) was born in northern India. Large uncertainty exists about the date; one tradition puts it around 567 B.C.E., but some scholars put his life almost a century later, while some legends have him several centuries earlier. Siddhartha’s father was a king of the Śākya clan, and Siddhartha was his firstborn and heir. Siddhartha’s mother died a few days after giving birth to him, and her sister became his step-mother. Another legend is that a prophecy was made that if the young prince stayed on the worldly path, he would be a great king; but if he took to the spiritual path, he would be a redeemer of all of humankind. We might dismiss the idea of supernatural glimpses of the future, but this mythic version highlights the tension that would later emerge between the seeker and his family: would he go off and seek enlightenment while he was still young? Or would he follow the “respectable” path, as seen by his culture: do his family duty, take the throne, produce an heir, and perhaps in his old age devote his energies and time to spiritual matters? After the prophecy, the young Siddhartha’s parents took care to keep him firmly attached to this world. He was sheltered and protected in the palace, surrounded by beauty and never exposed to anything unpleasant in the outside world. He was taught the arts of war and of pleasure as befits a future king: wrestling and archery, dancing and music. And when he grew older, the arts of love. A marriage was arranged to a beautiful and charming princess, and a son was born. But Siddhartha was still curious about the world that had been hidden from him, and one day he was able to sneak out of the palace. For the first time he saw sickness, old age, and death. He was horrified – was this truly the way of the world? How could anyone endure the pain of it? Then, by the side of the road, in the middle of all this horror, he saw one man who seemed calm and serene in the midst of it, a wandering mendicant who had given up his home and possessions to live the life of a spiritual seeker. Siddhartha returned to the palace but was haunted by what he had seen. He knew he had to learn the secret of that wandering ascetic: what did that man know that let him maintain his equanimity? A few nights later he snuck out of the palace. His charioteer accompanied him to the edge of the kingdom, where Siddhartha chopped off his own hair and headed off into the forest; his charioteer returned to the palace with Siddhartha’s hair, sword, and jewels, as a farewell to his family. Of course it probably didn’t happen that way. Some sources suggest a more gradual turn to the spiritual life. One version of the tale claims that the trigger for Siddhartha to leave his comfortable life was that one night he looked around at the sleeping women of his harem and saw his concubines in the absence of their artful charms, saw how empty his diversions had been. But whatever the details, he left his life of luxury to live as an ascetic and to study with the best teachers that he could find. At this time, the mainstream religion of Brahmanism was riddled with corruption, including widespread abuse of religious authority and of the caste system. In opposition to it, many wisdom schools of yoga arose. When we think of “yoga,” most of us think of the system of physical culture. But the word yoga comes from the same root as “yoke” – again, we find the notion of binding, of connecting. Hinduism developed several yogas, methods of training designed to create connection or unity: the physical culture of hatha yoga, the jnâna yoga of knowledge and intellectual inquiry, the bhakti yoga of love and devotion, the karma yoga of work, and the rāja yoga of psychological experiments and mental exploration through meditation. It was on the latter that Siddhartha focused. Siddhartha sought out the best teachers in the land, but he was unable to find one who could satisfy him. With his combination of a keen mind and amazing determination, he was soon able to match every teacher he found, and plumb the totality of their methods. He learned to enter many altered states of consciousness, but he realized that this was not getting him closer to an answer to the problem of suffering. Having tried all the mental methods available, Siddhartha turned to physical disciplines. He went for extreme asceticism – sitting perfectly still for hours, pressing his tongue to the roof of his mouth so hard that he broke into a sweat, disciplining himself to eat only a handful of beans a day, neglecting hygiene until the dirt fell off of him from its own weight. He was as much the master of his fleshly desires as any man has been. And as asceticism was a popular spiritual path at the time, his success in this won him a small crowd of followers. But it wasn’t getting him to enlightenment. In fact, according to some versions of the tale it nearly killed him – he passed out from starvation and would have died, were it not for a young girl who found him collapsed in the road, overcame her fear that this filthy and emaciated collection of bone and parchment-like skin was a demon, and fed him. He had pursued asceticism as far as was possible, and not found what he sought. He had investigated all the schools of philosophy and yoga available, and found them wanting. He would have to find a new way. The climate in the part of India where our story takes place was mild. Mild enough that our hero was able to take his shelter under a fig tree, among the roots, while he considered and meditated for a space of many weeks. Having tried the extremes of asceticism and the life of luxury, he went for a “middle way,” seeking neither to steel himself against pain nor to chase ephemeral pleasures. He ate enough to stay healthy, fully and mindfully enjoying the simple peasant fare that the local people gave to him. He spent time talking to and teaching some of the local children, in return for food and other support – a pattern that would persist into the monastic community he built. He recalled a time when, as a child sitting under a rose-apple tree watching a celebration of the spring planting, he had spontaneously relaxed into a meditative state. He had not sought out any special altered state of consciousness, but had simply relaxed into his own clear mind. It seems he took that spontaneous meditation, rather than the special trance states of his teachers, as a model for contemplation during his time under the tree that came to be called the “Bo” or “Bodhi” tree. As he sat, his mind cleared, and he began to see into his own true nature. This is never an easy task. Legends say that he strove with demons, that he was tempted by Māra, the lord of illusion, and that the Bo tree bent down to protect him and that the Earth itself testified and bore witness to his right to seek enlightenment.